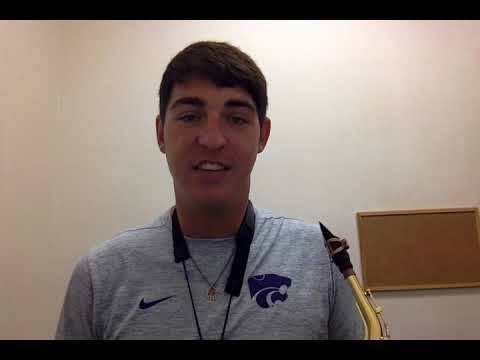 I have been a saxophonist for 11 years, currently studying as a saxophone student majoring in Music Education & Composition at Kansas State University. 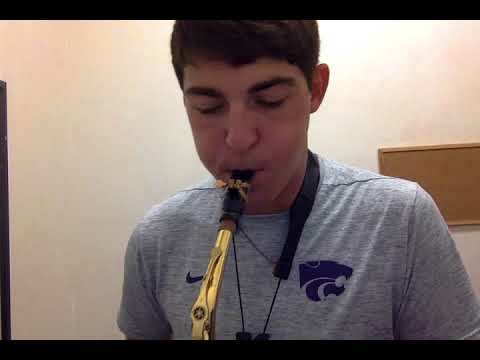 I also have been playing the clarinet for one year now. As a saxophonist and as a Music Education student, I have had the opportunities to study the clarinet as well as play in multiple ensembles. No one wants to hear it, but this means scales and patterns! Learning all of the major and minor scales is a great start to learning new music, and will be the first goal for my students. Included in technical work is proper cleaning and care for the instrument, proper breathing, and physical habits such as posture. I want you to experience music that is capable of your skill level, exciting, and will help you learn about different styles and history. I want you to find music that you love to play! Along with learning to play new music, you will be learning about the significance of the music we play. Who wrote it? What time period? Why was it written? I am also a composer, so I have original music they you may also want to learn! The goal of any musician is to play beautiful music! There is a lot of work to be done in the two areas above, but you must learn more than the notes on the page to be great. You will learn about phrasing, dynamics, and articulation in ways that will enhance your performance abilities! In addition to these segments of our lesson time, we can work toward new music, specific goals, or auditions you may be pursuing. I cannot wait to start working together! My name is Joshua, a teacher, composer, and performer. I am proficient in saxophone, and competent in flute, clarinet, composition, and piano. My Bachelor of Music degree comes from Kansas State University in the area of Music Composition. I am from a small town where I have had extensive amounts of experience working with children as a lifeguard, saxophone teacher, and teacher's assistant. I run my lessons based on what YOU want to learn while building the basic skills required of your instrument of study. I have played classical, jazz, pep, and modern saxophone, and as a composer I am exposed to many different styles of music. And I understand that as your teacher, it is my job to equip you with the skills needed to fulfill the true music you want to create! The mission of the Kansas Music Educators Association is to support music educators by fostering leadership, providing professional development, and promoting the advocacy of music learning in schools and communities. 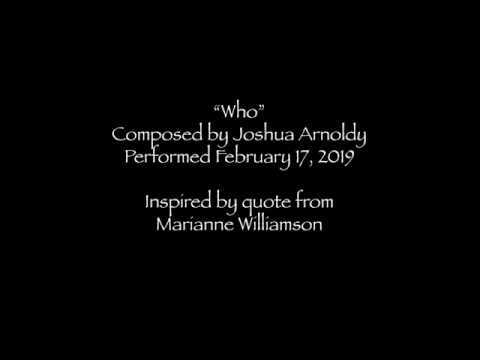 "Who" for 8 voices & percussion composed by Joshua Arnoldy and premiered on Feb. 17, 2019. This introduction video will help you get to know me a little bit better! Always let me know if you have questions!!! This is the first movement of Marius Constant's "Musique de Concert" titled: Toccata.